The strict definition of “relationship goals” is different for everyone. Some couples want to cocoon in their living rooms together forever, others want to be adventurous while most of us just want a partner to eat insanely unhealthy food with. Some stories are cute and sweet while others are just hilarious. The couples in this list prove that the longevity of a relationship is unique to each situation. But that doesn’t stop us from being incredibly envious of their love for one another. 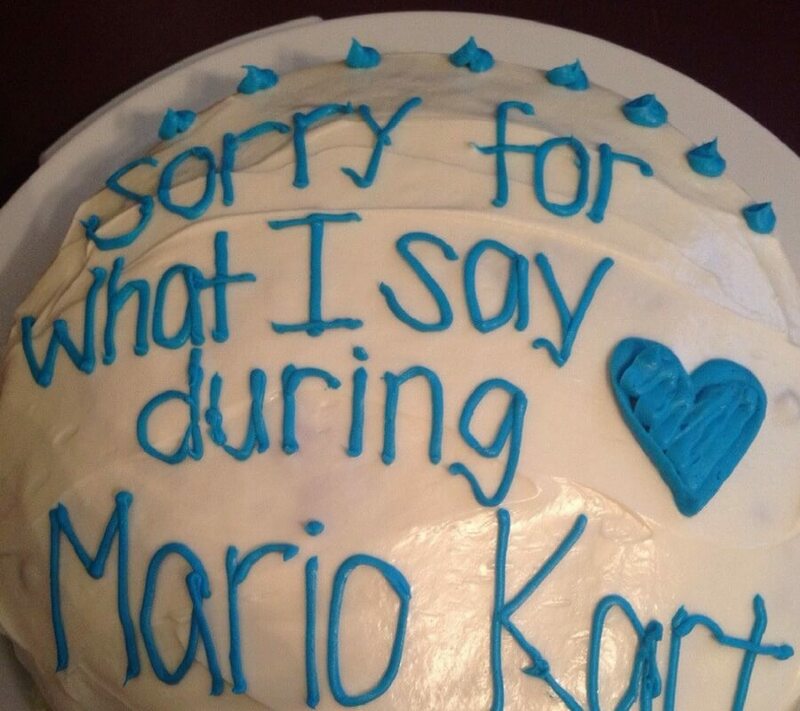 Coming up, the funniest apology cake after a wild game of Mario Kart which has proven to ruin relationships in the past. 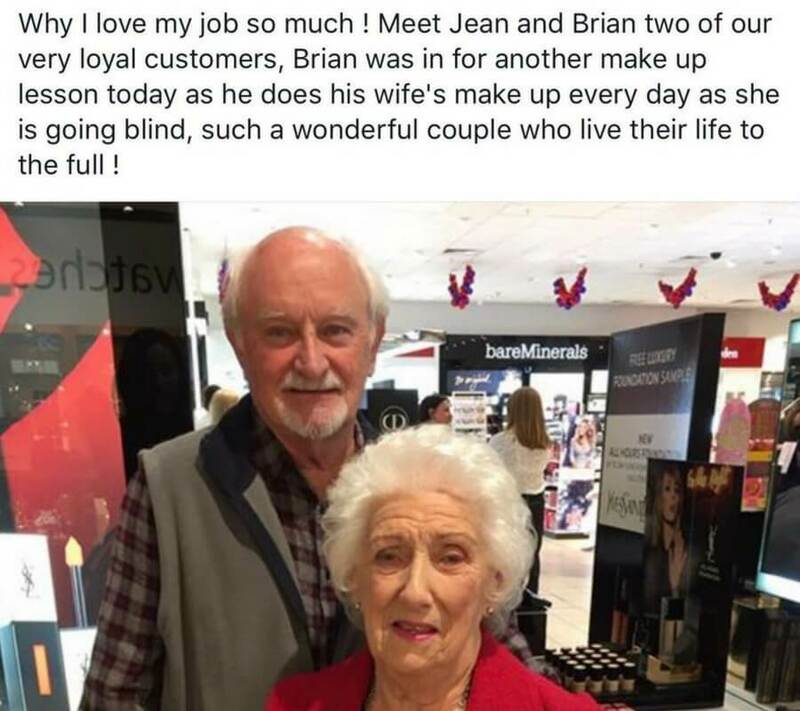 Any guy who can do his wife’s makeup and have her approval while doing it deserves a Nobel Peace Prize. Doing makeup has become an art that even Michaelangelo doesn’t want to try because of the difficulty. This guy is doing God’s work by contouring at a top tier level. 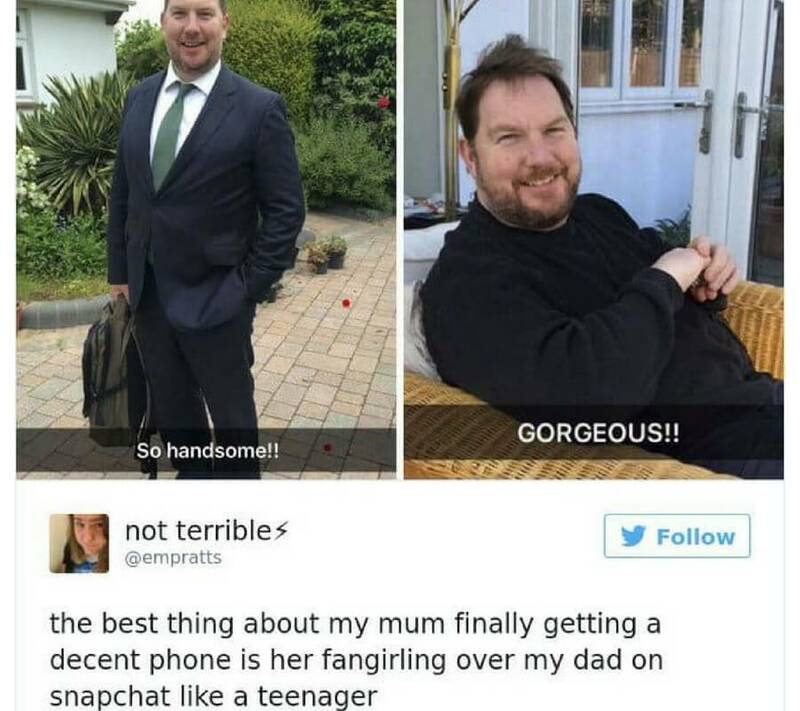 All the respect in the world to this fine gentleman. If the two nominees for the Nobel aren’t this guy and the guy above then our world is self-destructing. This is a picture of pure love and it’s amazing. 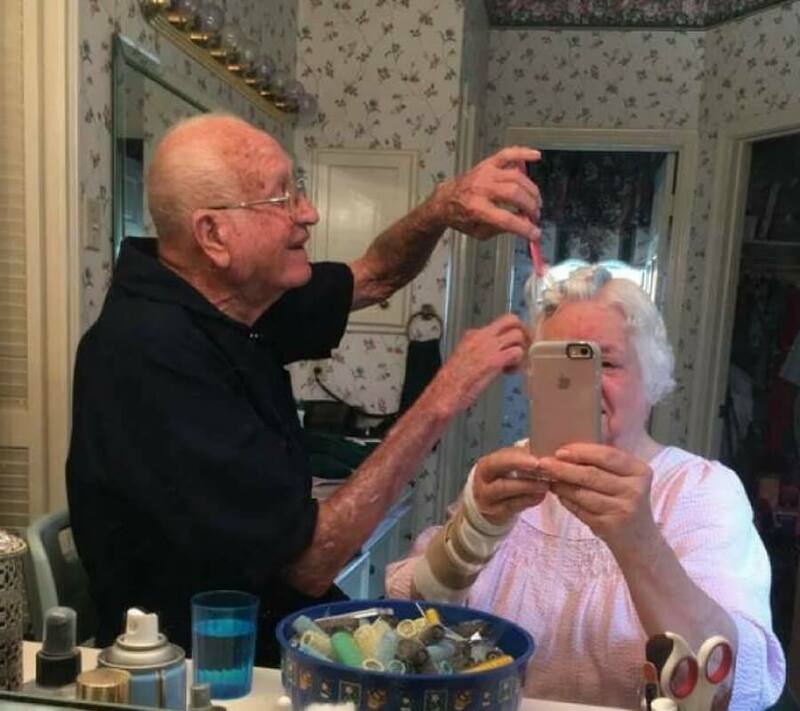 She had just got surgery on her arm and can’t do her hair so he offered to do it. It doesn’t even matter if it he gives her curls that make her look like Matilda, it’s the thought that counts. If you don’t marry your best friend you’re probably going to be in for a long and painful marriage. If they won’t binge watch Judge Judy while eating a double chocolate cake then they probably aren’t worth it. Likewise, if they won’t crush a full pizza while doing yoga it might be time to hit the “pass” button. 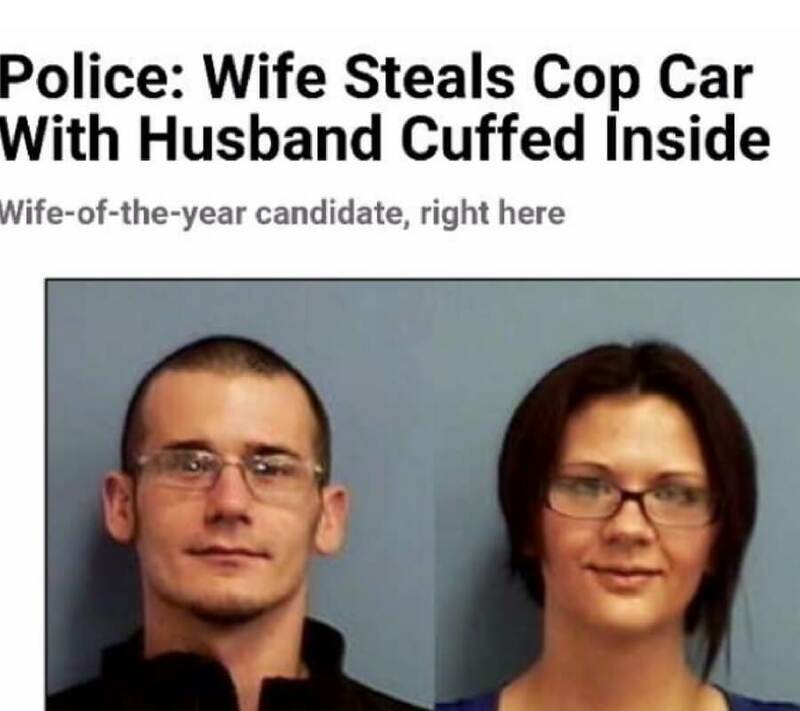 Just ahead, a couple proves that sometimes your love for your spouse results in stealing a police car just because. This is the only way you could ever get me to go grocery shopping. If I was guaranteed a spot in “shotgun” on a grocery cart you can count on me being there so this is the definition of relationship goals. She won’t have to touch the supermarket floor, yet she’s strategically in the driver’s seat and can see everything she needs to make her signature peach cobbler. 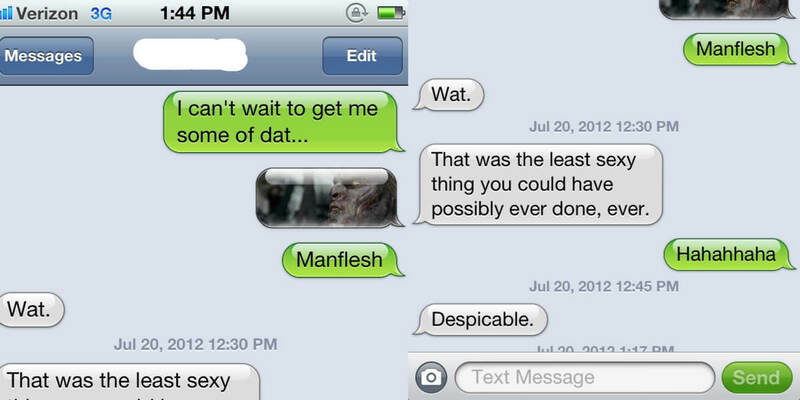 Mario Kart is deadly for relationships. Once you start on Rainbow Road, statistics show that one out of every three relationships become strained after. If your significant other thinks that a) you’re going to just let them win, or b) you’re not going to drop that banana peel specifically to take them out, they’re in for quite the surprise. Doesn’t everyone want to be in a “ride or die” relationship? This is the definition of that. Your significant other is trapped in a police car, so what do you do? There’s ONLY one option and that’s to take that cop car for a little ride. It was not malicious towards the cops at all, it was merely just to test the steering of the 2016 Ford Fusion’s that they are using. Coming up, this couple proves that REAL relationships begin when you have to help each other get the most amount of food in your mouth in one gulp. If your significant other is willing to be a table for you and your chicken fingers then they’re a keeper. If they’re willing to also act as a table while you’re poolside on a nice day then they need to be locked down for life. Chrissy Teigen and John Legend are exactly who couples should aspire to be. When your text doesn’t get replied to within five minutes from your significant other, alarms start to sound. Did they fall in love with someone else in those five minutes? Did they go on a quick vacation to Paris alone? Did they fall into a pothole and lose consciousness? Did they eat raw chicken and get food poisoning? So many thoughts race through your mind until they reply. A few things here — Is this really THAT cute? 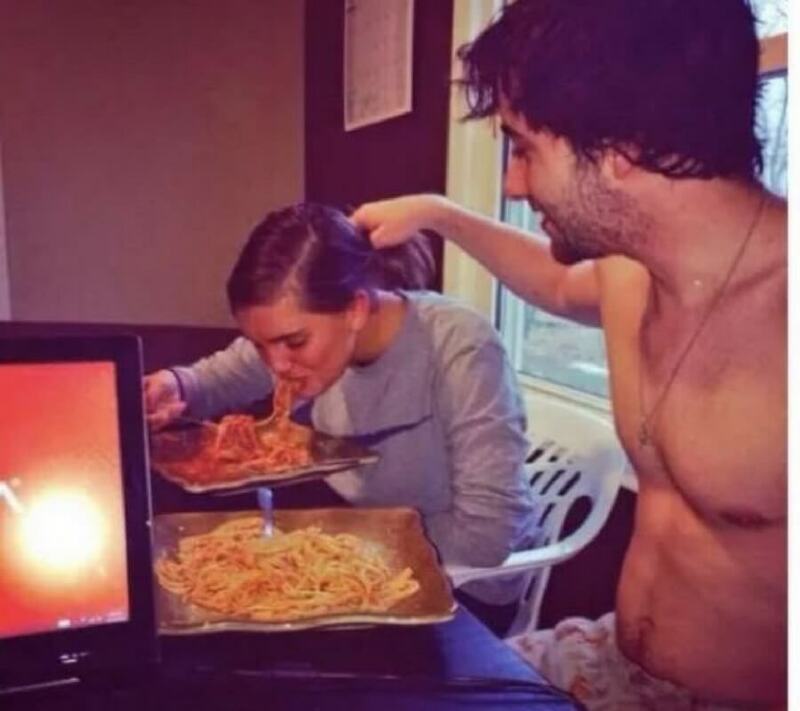 She’s literally choking on her spaghetti and all he’s doing is holding her hair so that she can choke, uh, hair-free I guess? Okay, kidding about the choking part, but it is a hazard to put THAT much spaghetti in your mouth that your hair has to be held back in case you throw it back up. Couples that have matching shirts walk a fine line between being cute and being borderline creepy. That’s just ahead. It’s about making the most out of what you got. If your mobility has declined with age you have to see the positives of your situation and take advantage of them. 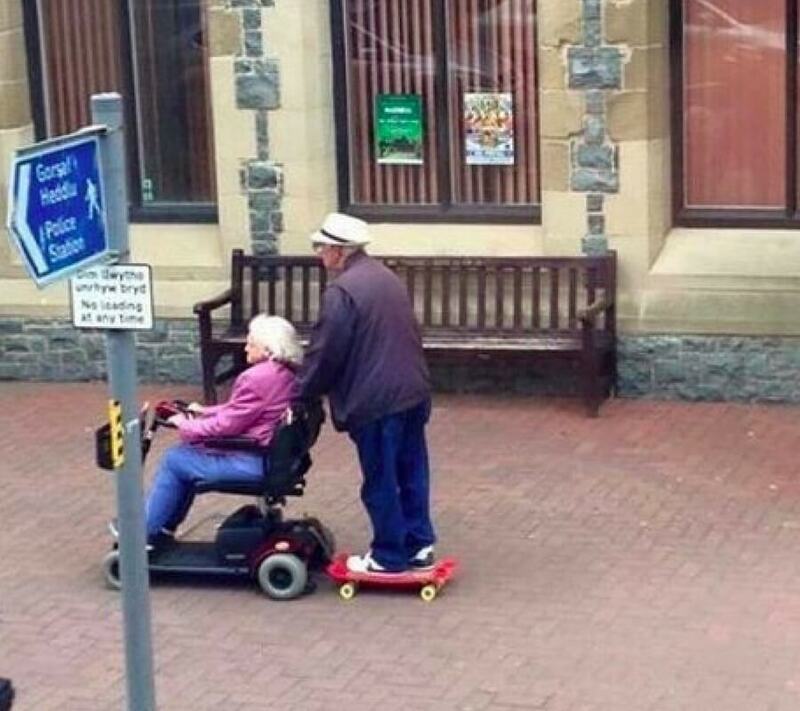 For example, this husband gets to basically skateboard down the street every day whilst holding onto his wife’s scooter. 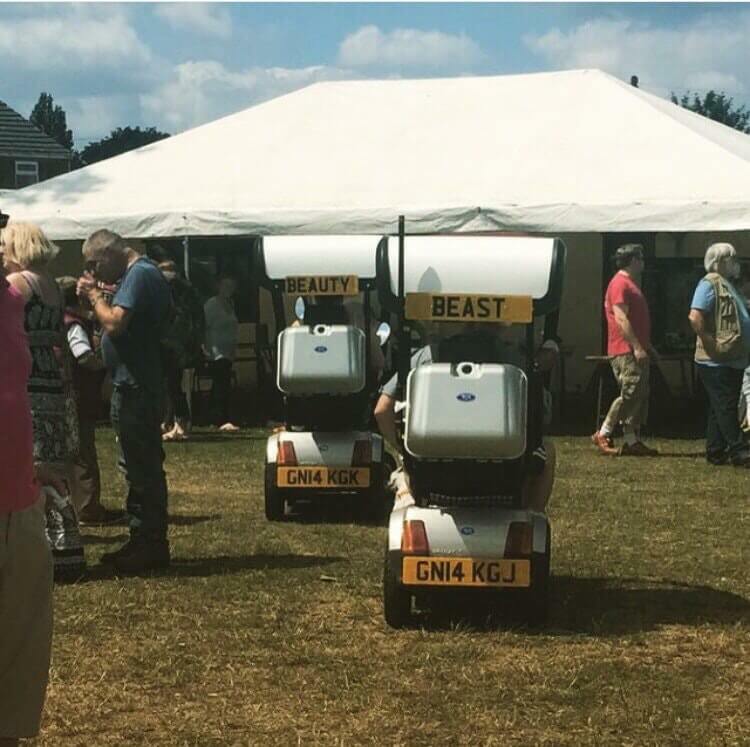 That’s true couple transportation goals. This is cute, but also mildly creepy if they just started dating. 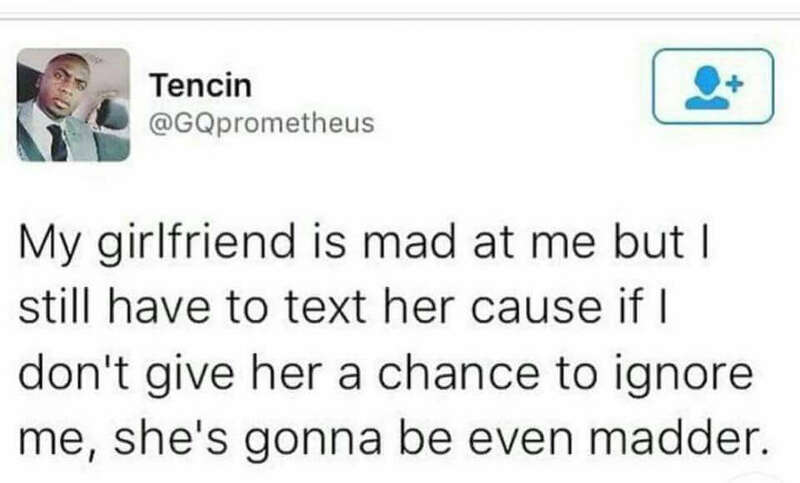 That could be a red flag that he’s a stage five clinger and potentially already has a tattoo of her face on his rear end. I could just be spitballing here, but context matters. Another theory could be that he only sees her as a finger and not an actual person. Maybe. Probably not. This is an efficient shirt that would save lives at music festivals and apparently massive bingo conventions. It’s almost a guarantee that you’re going to lose your friends and it helps if what you’re wearing identifies you. If only we could put our phones suited up in T-shirts that identify who it belongs to when we went out to avoid the inevitable loss. Rose petals in the bed are romantic and all, but there are some significant negatives to the act as well. There’s nothing quite like having your boyfriend pick up a guitar for the first time ever and try to play it in front of you. It starts with a bad rendition of Mary Had A Little Lamb and ends with an even worse rendition of Smoke On The Water. This is the moment in time when you say, “babe, I think you’re better at playing the triangle” and crush their dreams before it gets too deep. 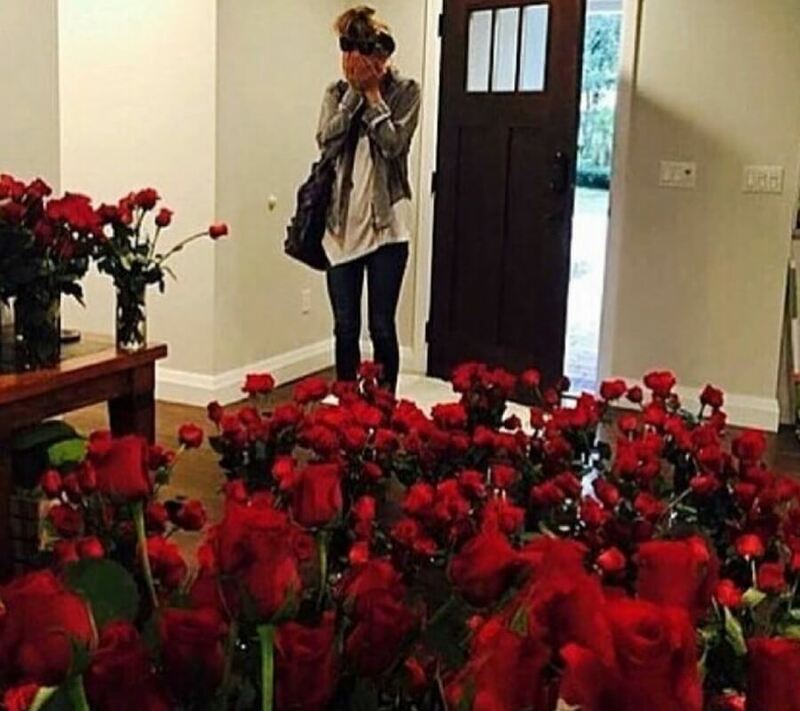 Contrary to popular belief, she’s actually crying because these roses created a potent fragrance that is close to knocking her out. Also, she’s in shock because she understands the amount of time it’s going to take to get these dozens and dozens of flowers out of the house. Lastly, she understands the amount of money it took to do this and is thinking of all the mink coats she could’ve gotten for the same price. 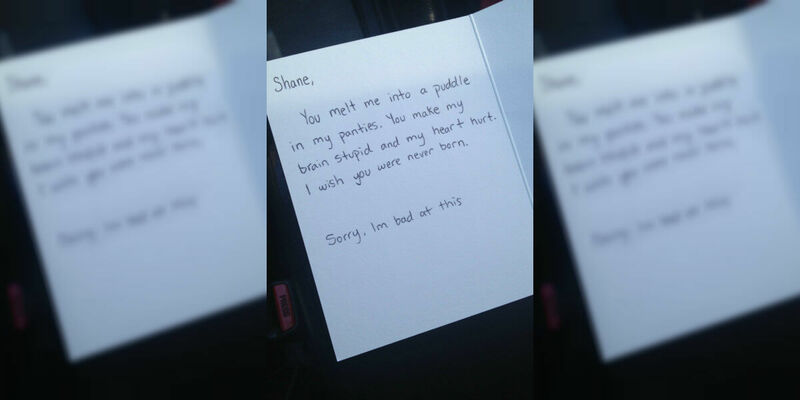 Many people may see this as being very romantic and going out of his way to set the mood. I see this as making a lot of mess on the bed unnecessarily. First of all, how are you supposed to go to sleep when you have rose petals tickling you and sticking into crevasses you didn’t know you ever had? Some couples are over the top in everything they do. But this couple coming up takes the cake. Couples that match together stay together (for a really really long time, apparently). This is amazing and convenient for a few reasons. It’s like having a uniform at work or school, you don’t have to think about what you’re going to wear because if she wears a red shirt and white pants, you’re wearing a red shirt and white pants. This couple’s picture has been circulating the internet because this guy struck out six times when asking this woman to marry him. 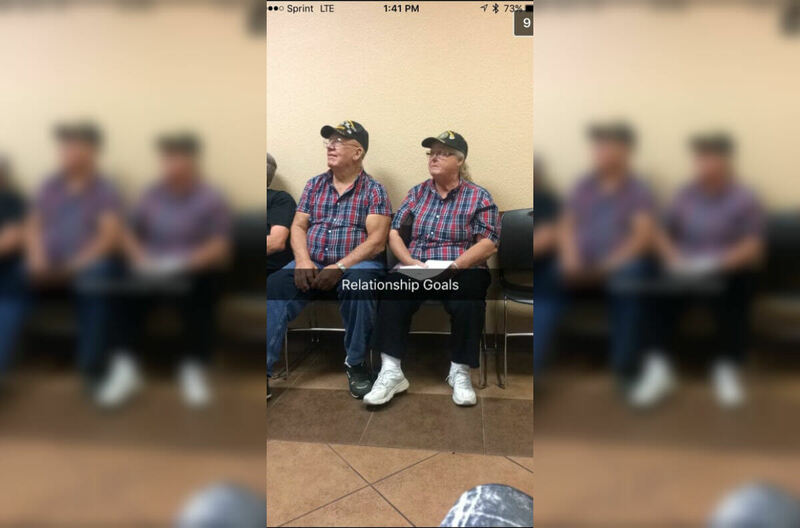 After the seventh proposal, she finally said yes and they’ve been together for 60 years now. This is a love story that focusses on a resilience and persistence that most us wouldn’t have. 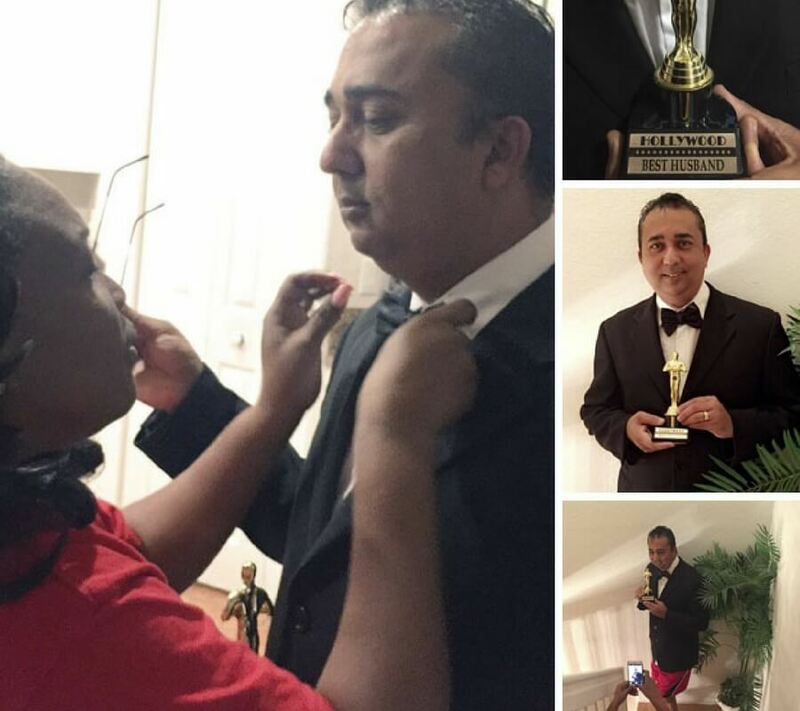 This wife dressed her husband up like he’s going to an awards show. She gave him the most prestigious award for Best Husband and he was up against some tough competition. George Clooney is peeved he didn’t win because he rented out the Staples Center for his wife just so they could watch a movie. That’s dedication. Coming up: A man who so dedicated he’s willing to risk injury to save his girlfriend. Wouldn’t it be nice to have paparazzi surrounding you that are only out to get the good shots and not the bad angles? This wife doubles as his hype girl whose sole purpose is to ensure his confidence is sky high and that he feels like the king he is. She’s just spreading the positive vibes we all wish we got on a regular basis. 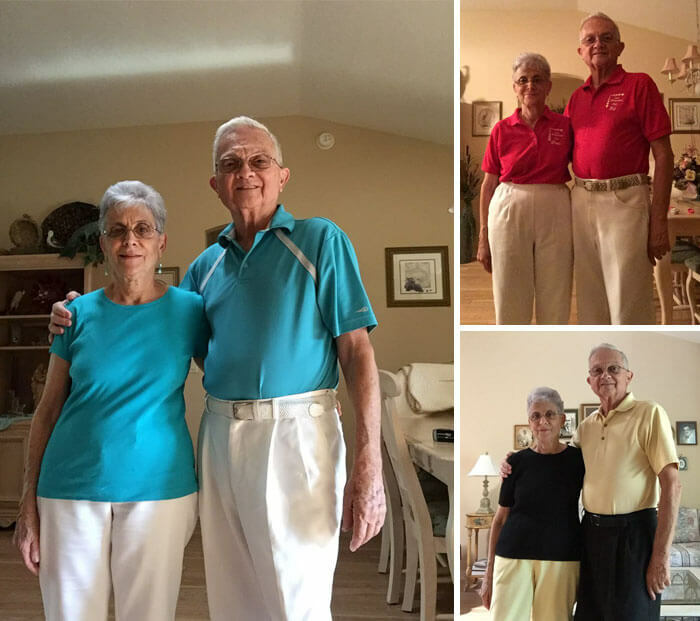 This couple has stayed together because of their willingness to finish each other’s sentences, and their willingness to go out and enjoy the fruits of the sport. Some couples have been together so long that they already know what each other is going to say. The fact that they’re fans of different teams and have been together for so long shows that their love is real. 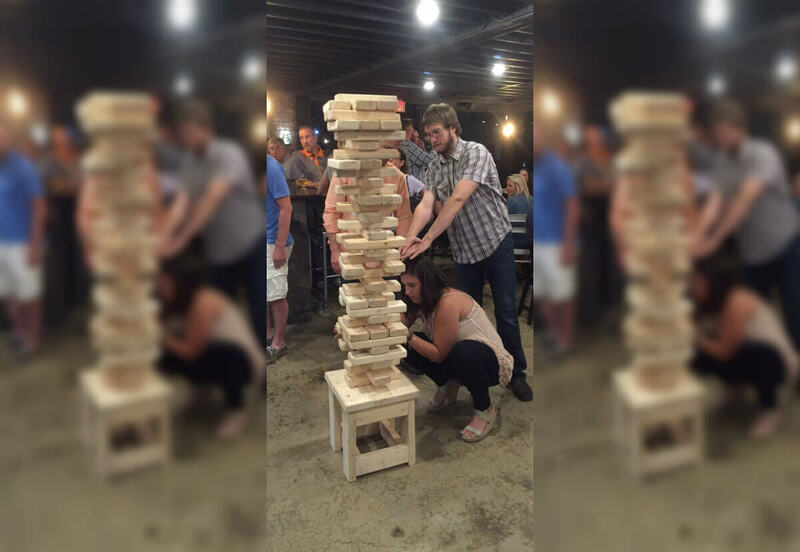 Whether or not him putting his hands over her head will actually do anything when the thick wood blocks come crashing down on her doesn’t really matter. It’s the thought that counts. He is selflessly putting himself in harm’s way to protect his girlfriend. 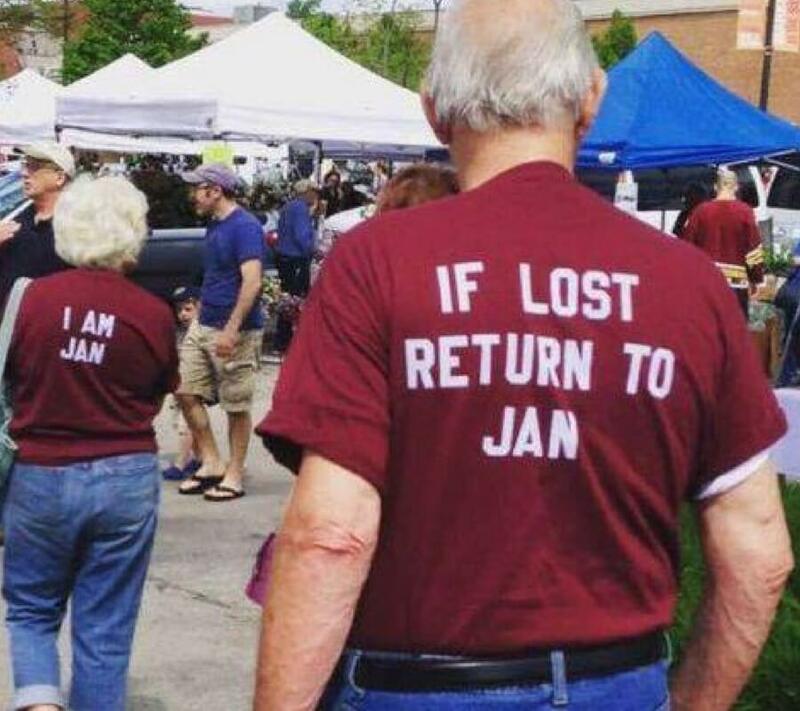 If that’s not a relationship goal I don’t know what is. In this photo, a man has shown that he’s willing to make a sacrifice. Coming up is a man who actually made the sacrifice. Don’t you just love when couples play these little cat and mouse games? 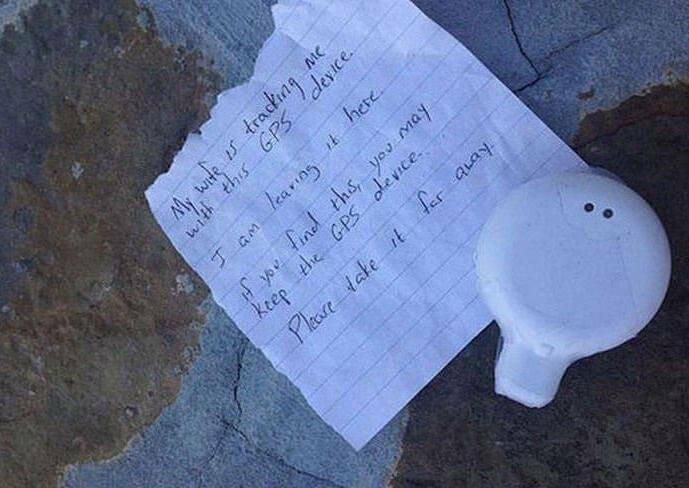 The wife wants to make she knows her husband’s every move so she puts a GPS tracker on him knowing full well he’s going to find it and get rid of it. 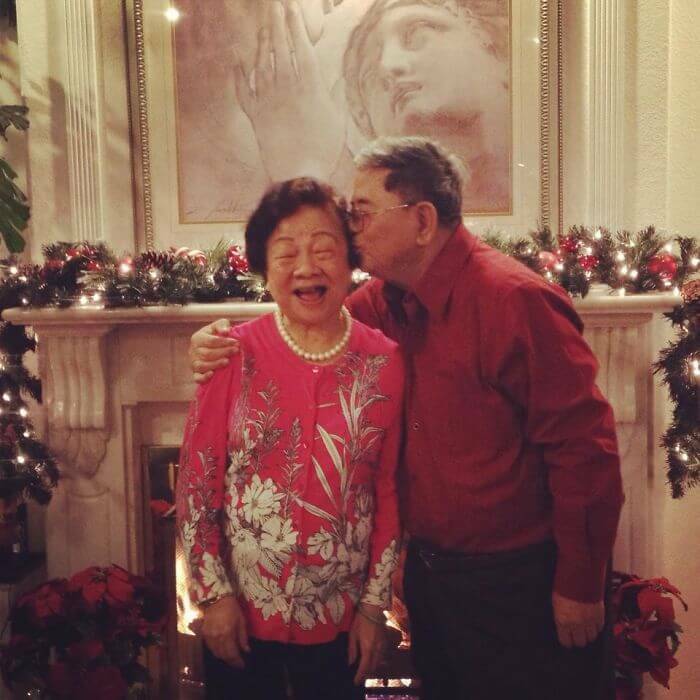 This is true love in the flesh — a rare sight if you ask me. A big part of maintaining a successful relationship is making sacrifices for your significant other. It should go without saying but you’d be surprised at how many people don’t do it. Take this guy, for example. His girlfriend probably asked him to go up on his shoulders. He could have said no, but he took one for the team and kept her up there until he was on the verge of passing out. While I don’t approve of car decals, the one I included a few items further down the list actually made me laugh. I think most men would agree that there’s no better way to spend an entire day than to binge watch the Lord of the Rings trilogy…extended versions. 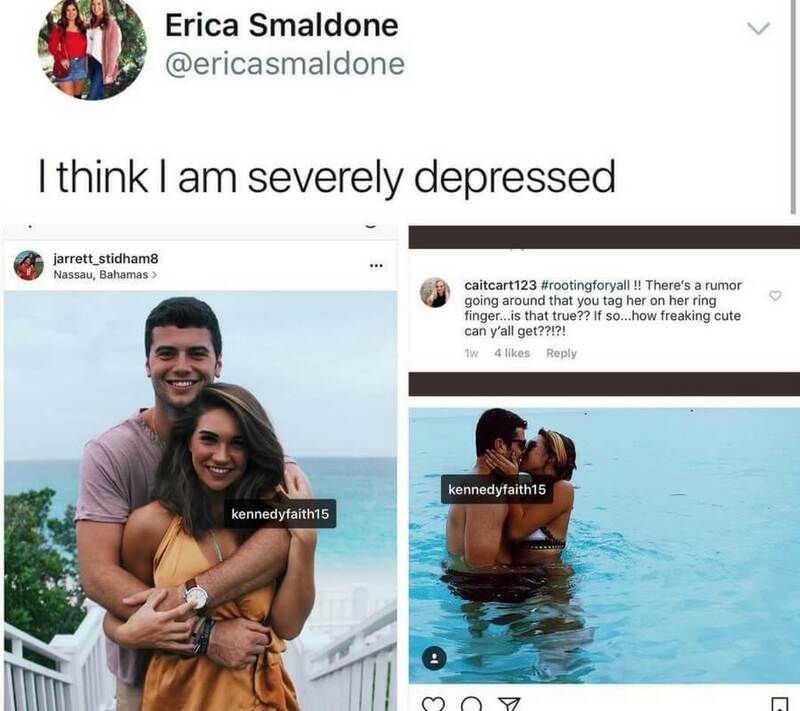 He’s lucky he found himself a woman who’s clearly willing to do that with, not to mention, one who shares a similar depraved sense of humor. Put a ring on it, dude. We should all strive to love our significant others the way Brady loves Gronk. Gronk would be nowhere without his faithful quarterback. They’re both passionate about the game of football, they love to win and share a mutual respect for each other that has helped grow their relationship off the field. It’s quite a beautiful bromance. 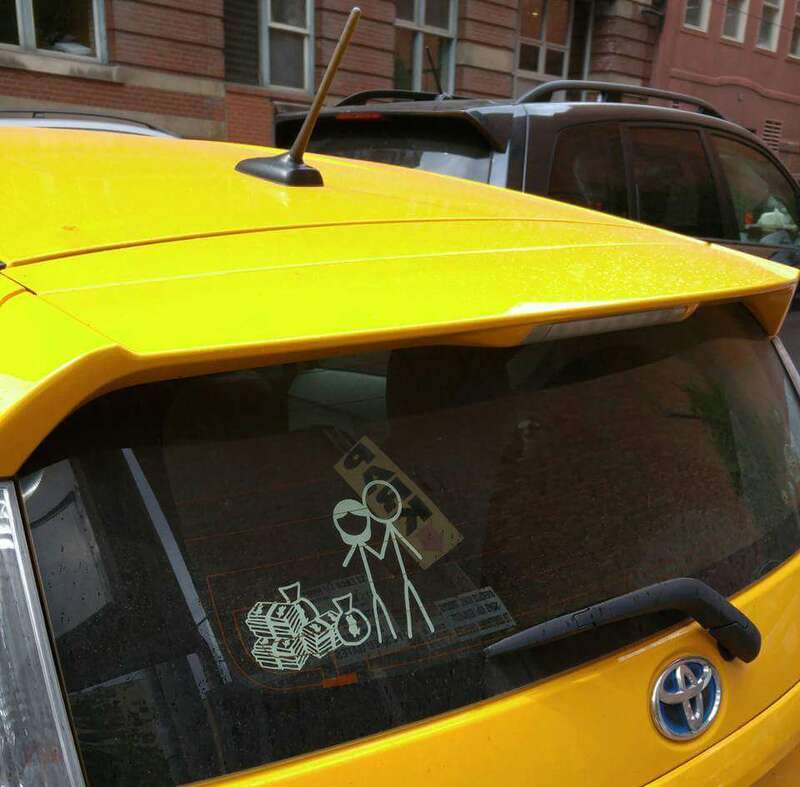 Let’s just make one thing clear here, car decals are never cool, least of all for people who don’t have kids. I get this was meant to be satirical but the best way to satirize cheesy family stickers is to not have one. The notion that two people chose to make money instead of overwhelming their lives with children amuses me and that’s why this picture made the list. I bet this decal resonates for the southern couple who clearly know how to bargain shop. You can find them further down the list. It’s important to keep track of your relationships, to take pictures and catalog the time you spend together because, at some point, you’re going to want to go back and revisit some of those memories. 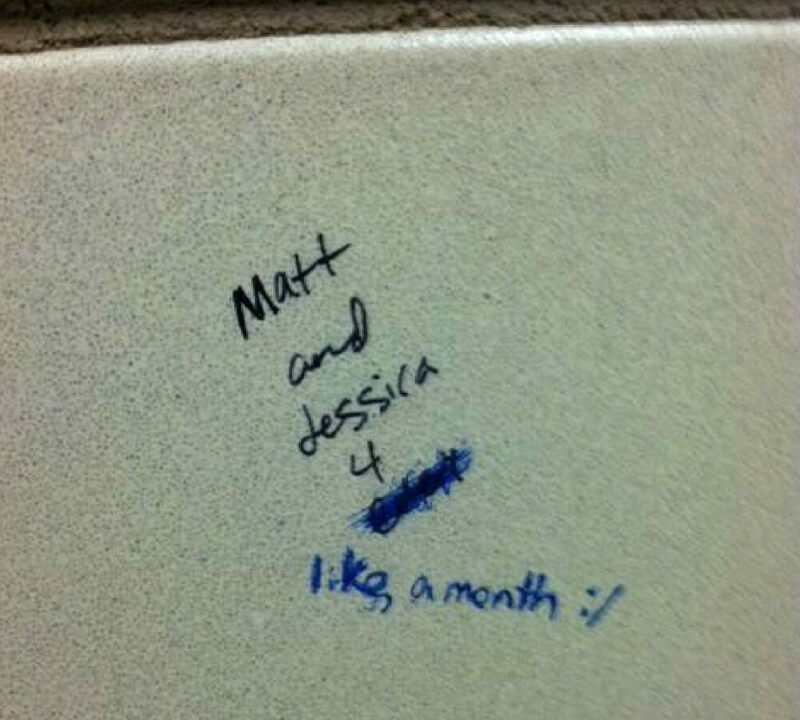 Matt and Jessica may have only lasted a month, but it’s a month they’ll never forget. Ketchup and mustard are very different yet they compliment each other greatly because ketchup is sweet and mustard is sour. All this is to say that two people in a relationship don’t have to love all the same things or have a similar disposition to work well together. 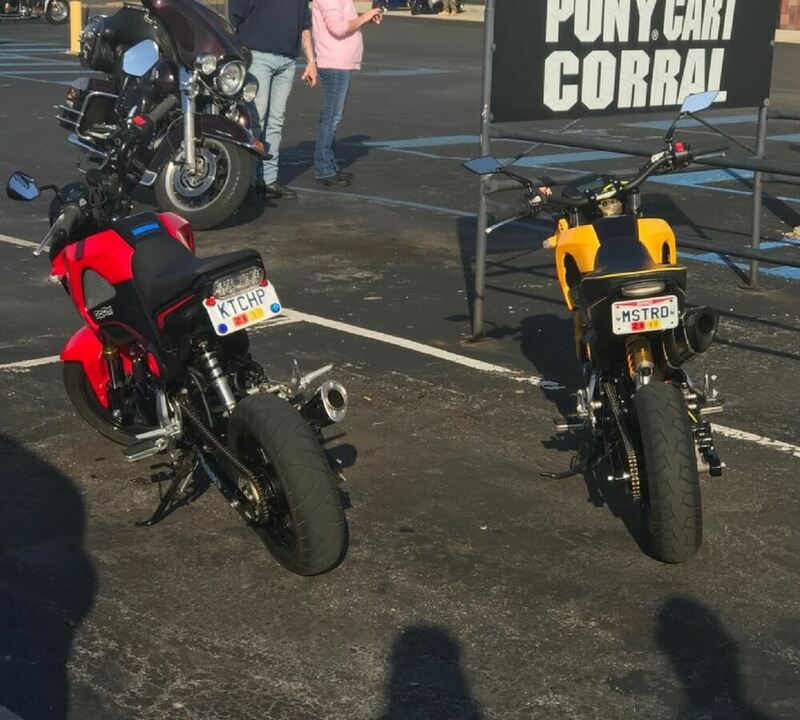 It appears to me that both people in this relationship are passionate bringing dumb ideas, like these couple bikes, to life. I’m sure there are other things they do that are different. Here we have two people who really know how to sniff out a good deal. The local Walmart had a two-for-one sale going on plaid shirts. Who in their right mind would pass something like that up? When times are hard you have to take advantage of a good deal when you see one. 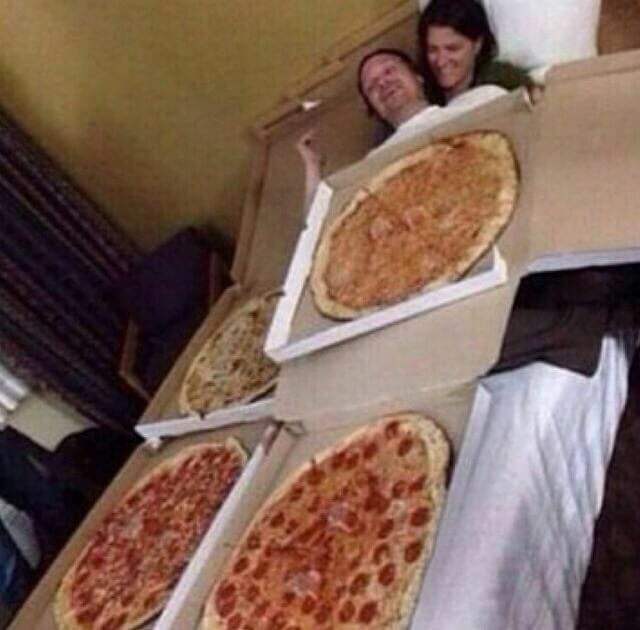 I wonder if they also eat pizza in bed like this next couple. I hardly have enough to time to give one person. 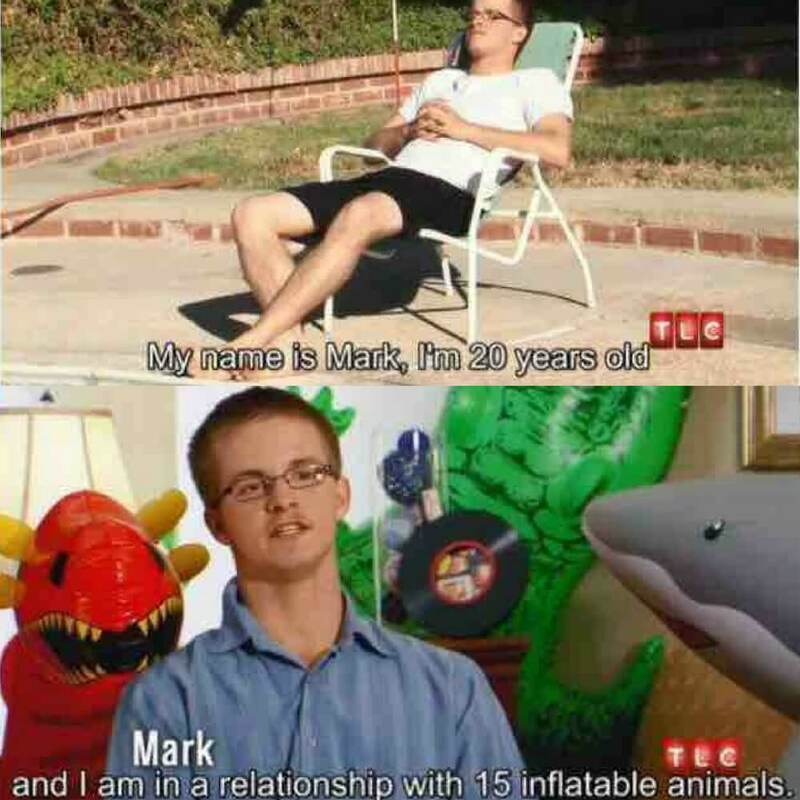 This guy is in a relationship 15 inflatable animals. How does he do it? I have so many questions. Does he keep them all inflated, or blow them up separately? Maybe he ties them all together to build one large inflatable raft so that he can snuggle with all of them at the same time. 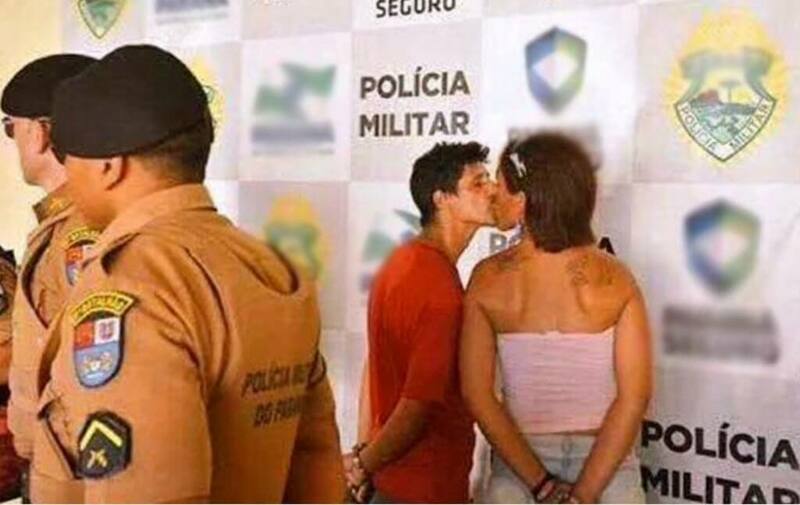 True Love Doesn’t Exi…Oh, Wait! 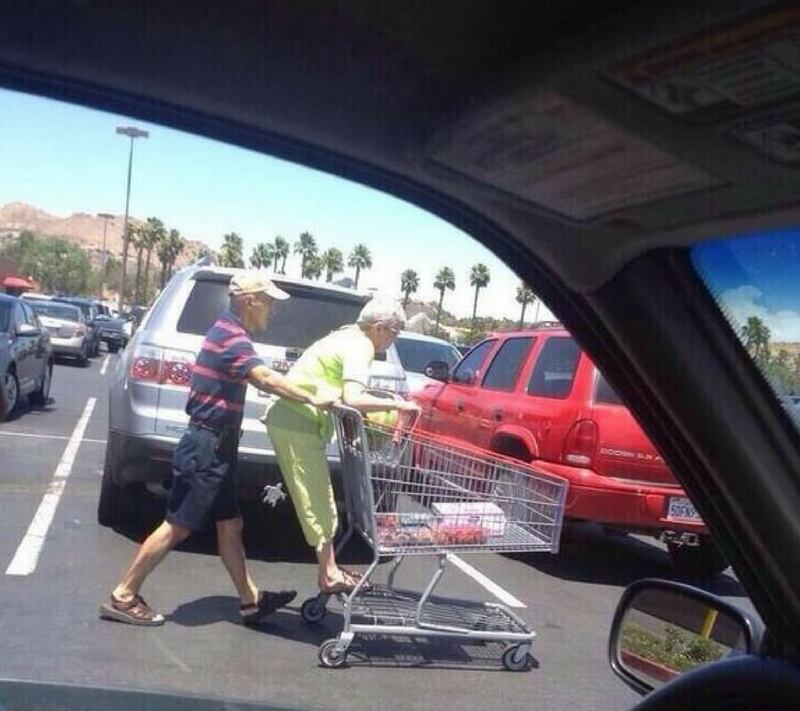 For those who think true love doesn’t exist, I suggest you take a long hard look at the above picture. 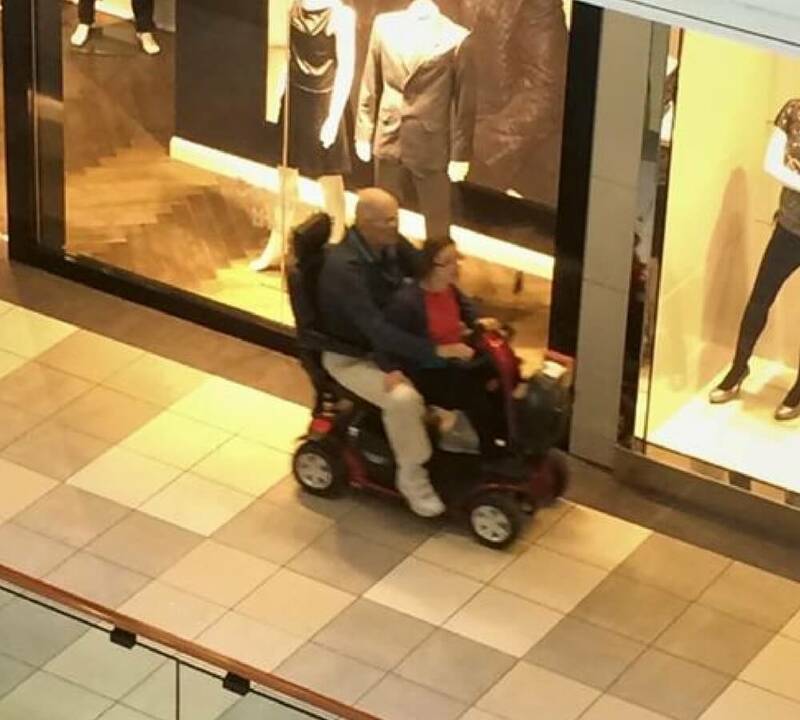 This couple has been riding around malls together since old man Jenkins was forced to use that scooter. Before that, they were seasoned mall walkers ripping up and down the tiled floors in their new balance sneakers with the custom orthotics. It’s almost impossible to diet when you’re in a relationship. Relationships consist of doing fun activities 10 percent of the time, the rest is spent in bed, eating delivery and binge-watching obscure Netflix shows you never knew existed. This picture sums up my weekend perfectly. Coming up: the most legendary couple of all time. One we should all strive to be more like. You don’t have to be a familiar with the man’s music to know that Kanye loves himself more than anyone in the world — including Kim and North. I’m sure North is a close second, making Kim the odd one out. Anyway, I digress. 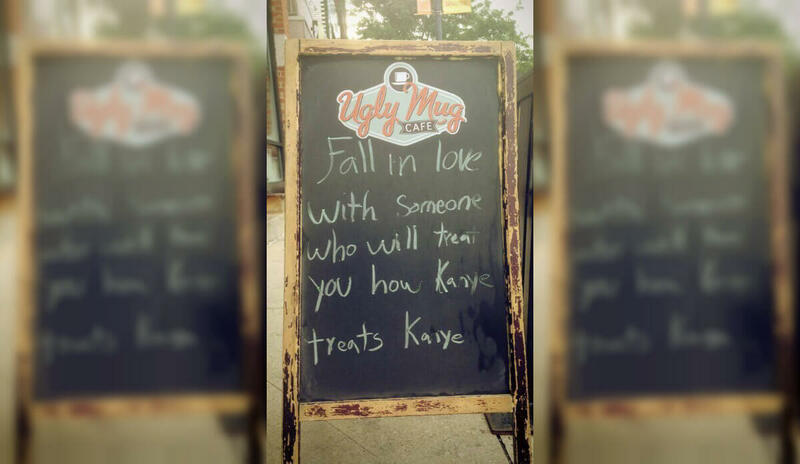 Truer words have never been spoken. 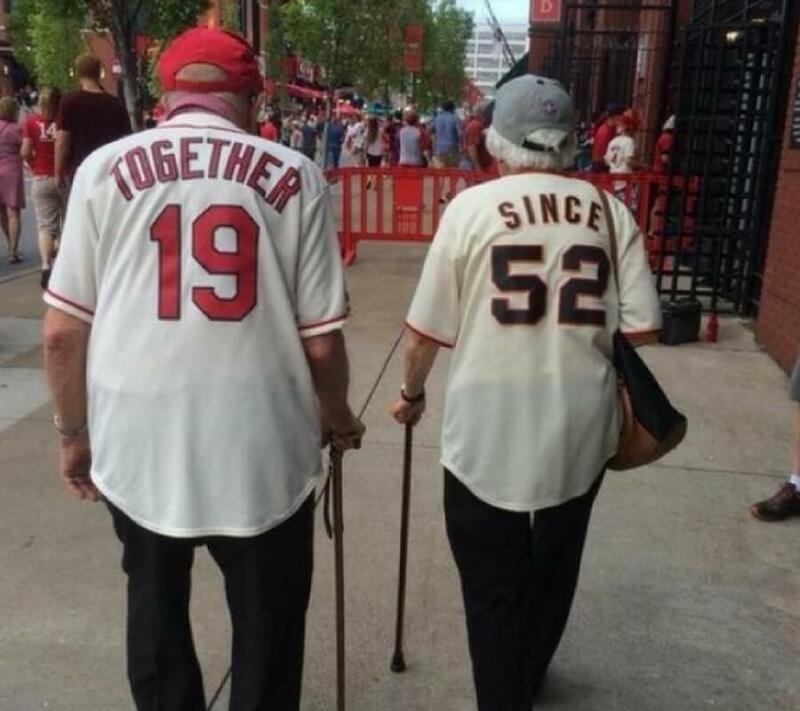 No couple survives this long without being able to share a laugh or two. Just because you consider your relationship to be serious doesn’t mean you have to be serious all the time. For all we know they’re both hideous and he’s just playing along. Ah yes, Peanut Butter and Jelly — the mother of all relationships. 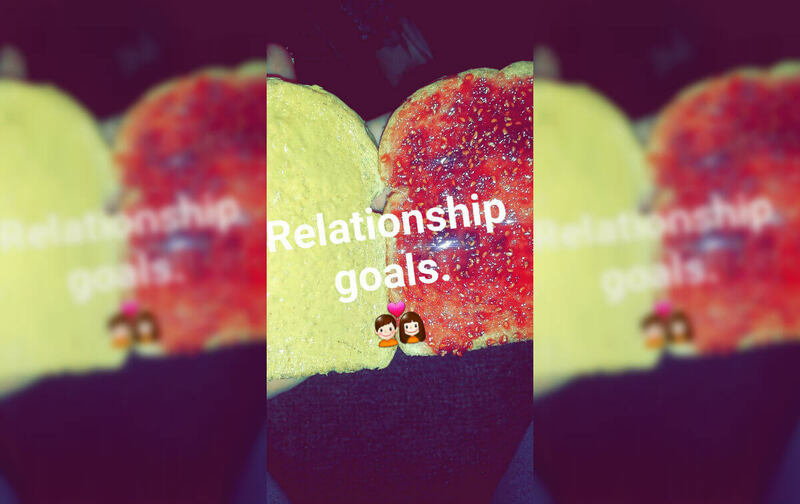 If there’s one thing all couples should strive for it’s to be as copacetic as a PB and J sandwich. No relationship has survived longer than peanut butter and jelly. Those two have been together since their inception. I want my relationship to have the agreeability of peanut butter and jelly as well as the same passion that two mannequins in a trash can share. Scroll down to see what I’m talking about. Sensing danger, this good husband jumped to his wife’s rescue, saving her from death. 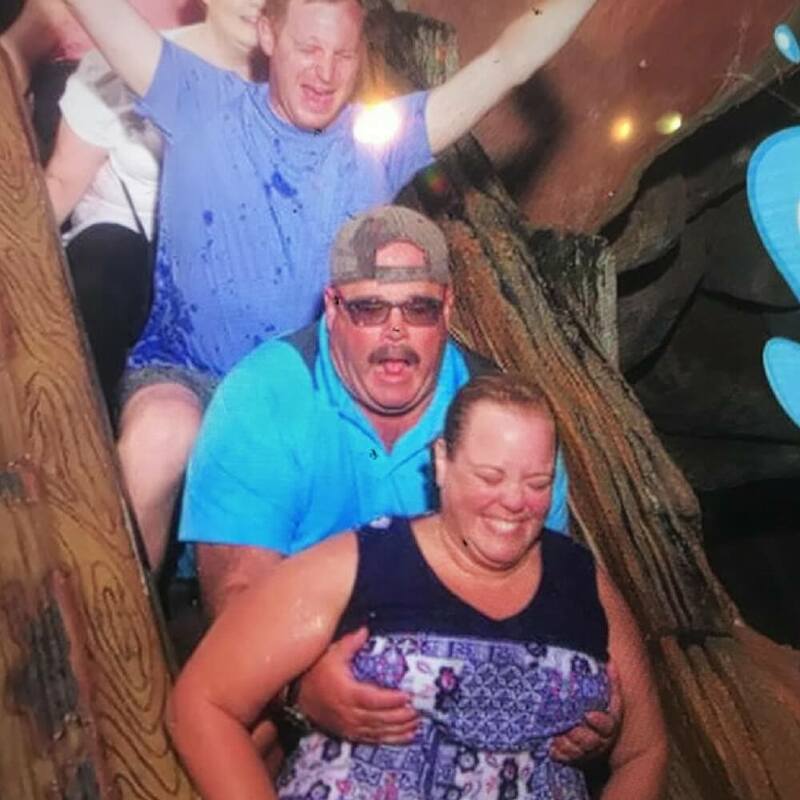 Just before the log ride plummeted, the mustachioed man wrapped his arms around his wife and held on for dear life and even got a picture prove it. She’s indebted to him for the rest of her life. 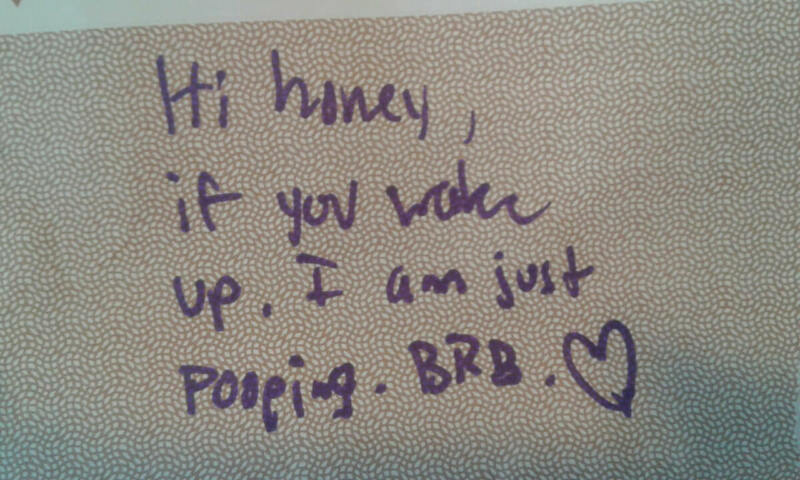 For men who take very long poops, next you go to crapper leave your wife, girlfriend, significant other a cute note just to let her know, she’ll love you for it. All healthy relationships have one thing in common: communication. In order to build that rapport, one must begin by opening up those channels. 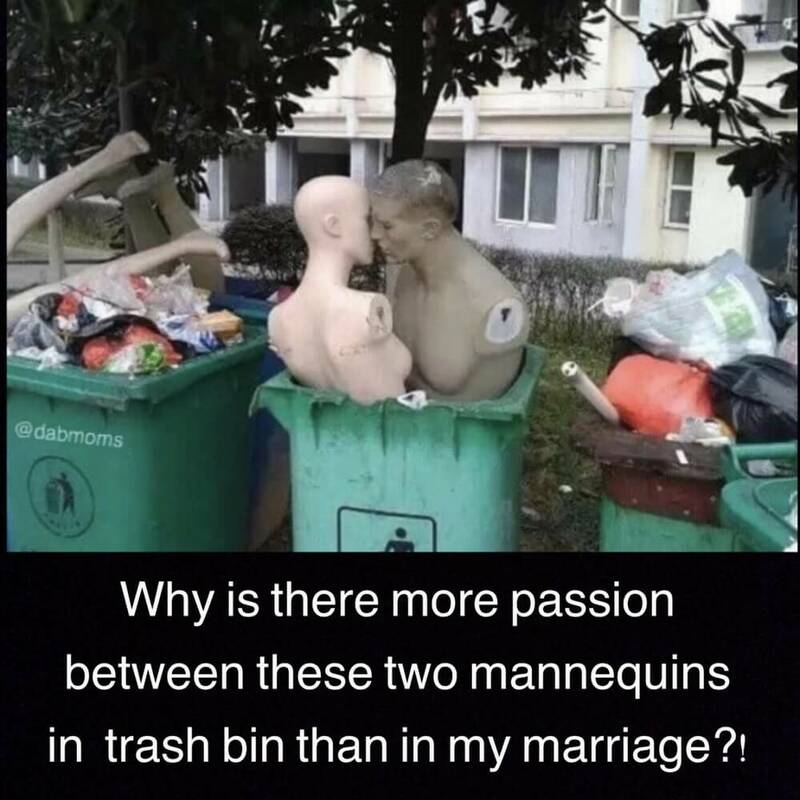 You know your marriage needs work when you become envious of two mannequins making out in a trash bin. You know what they say if you can’t beat ’em, join ’em. Maybe the key to rediscovering that youthful spark is jumping into the trashcan and making getting busy like the mannequins. For those who don’t know it, this is what it looks like when someone says for better or for worse and mean it. I don’t know what they did but clearly, they’re in deep trouble. For one, the military police made the arrest so you know it had to be serious. Secondly, it appears as though they’re setting up for a press conference, which can only mean it’s a high profile arrest.